Let us help you begin! 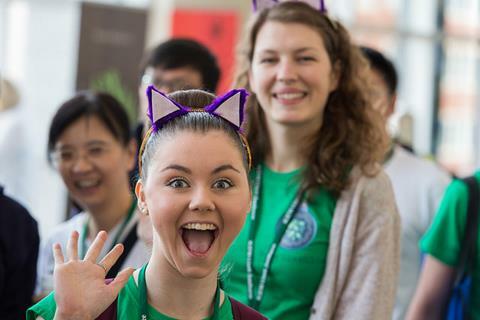 DNA Distribution kits have arrived in China, iGEM HQ staff is attending meet ups, the HQ Representative program has launched and much much more! Read on to learn more. Upcoming deadlines for Project Description, InterLab Study, Safety forms, Judging applications and Grant proposals listed below. China teams to receive DNA Distribution kits! With the help of GenScript's local distribution network, ‪iGEM 2016‬ China teams will be receiving their DNA distribution kits. All approved teams should expect to see their kits in the next few days. Join us in thanking GenScript for their efforts in distributing these kits to iGEM China teams. This description will not be used to judge your project. It serves to provide some background on what your team has been working on so far and what you hope to accomplish. The description only needs to be a couple of paragraphs long. Are you having trouble with the InterLab Measurement Kit? If so, please read the updated information on the InterLab Measurement Kit page (URL: http://parts.igem.org/Help:InterLab_Measurement_Kit)! If you're still experiencing problems, please email Traci Haddock-Angelli at traci AT igem DOT org to request new tubes. As part of iGEM's HQ Representative Program, a member of the iGEM staff will be reaching out to you via email in the next few weeks. These friendly introductions are meant to serve as a point of contact for you for any questions, suggestions or comments you have about the competition. We are here to help so please reach out anytime throughout the competition season. We are here to help - Please don't hesitate to contact us! The 2016 Safety Forms are live! All iGEM teams must complete the 'About our Lab' and 'About our Project' questionnaires by July 15. Tell us about your laboratory and your project. You can find more about the required Safety Forms on the Safety Hub at http://2016.igem.org/Safety. iGEM teams follow high standards of safety and responsibility. As you work on your projects this summer, please use the Safety Hub (2016.igem.org/Safety) as a resource to safely and responsibly design, build, & test your synthetic biology projects. Read through our recommendations and requirements, and be sure to contact safety@igem.org with any questions or concerns. We are excited to announce we are extending the judging application deadline to the 15th of July. The first round of successful applicants have been announced and a second round will be informed soon. Remember we have a 50% discount for applicants on 2016 iGEM teams. Thank you for all your interest and please continue to inform qualified applicants about the extended deadline!" Get your FREE DNA from IDT! As you begin your projects make sure to check out our partner's page for the latest offers and discounts. IDT is offering the equivalent of 20 kb of DNA as gBlocks® Gene Fragments FREE of charge to each registered iGEM 2016 team. Through this generous offer, you can now focus is on project design and characterization and not cost. 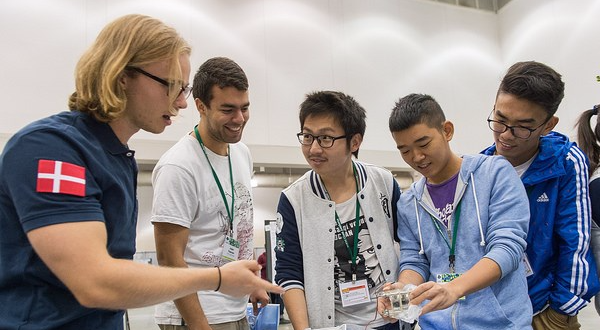 The iGEM community page lets you see what the synthetic biology community is up to. Check out the Community Bulletin for a complete list of announcements. Have an announcement? Let us know and we'll be happy to promote on our our page. China SynBioBeta Conference June 14-17. A member of HQ staff was at the Nordic meet-up in Stockholm and will be attending the NEGEM Meet-up in Boston and European meet-up in Paris. Our travel schedule is filling up fast - so please tell us about your event and we'll do our best to attend. Location: Stockholm - HQ staff in attendance! Location: Boston - HQ staff in attendance! Location: Paris - HQ staff in attendance! Please visit our meet up page for a complete lists of meet ups. Know of an event not on our page - tell us about it and we'll help promote and may even attend.